Tickets go on sale November 1st through the VCC office, online or by phone 250.386.6396. Kids 18 and under free! Includes all games, event program, 12 raffle tickets, entry into "Live it Live In Penticton". Available online til January 1st. Pick up at the door after Dec 22nd. Includes access to all games. Pre-sale is available online only til January 1st.. After Jan 1st, purchase at the door for $35. Available for purchase at the door daily. Pre-sales considered for groups of 8 or more. We all know curling is at its best when experienced live. The atmosphere is electric on a triple take out, a hit and roll to cover or the game saving draw to the button. 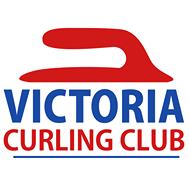 The journey to Penticton begins in Victoria for our athletes and we're sending two lucky curlers along for the ride! *please note you will be asked to sign in or create an account with our new and secure online purchase program. 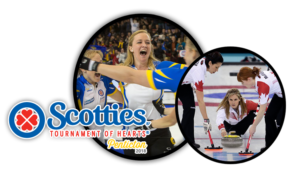 All funds raised support the 2018 BC Scotties. BC Gaming Licence #101770. As a title sponsor to the BC Scotties, BEST WESTERN-CARLTON is happy to offer $109/night for room with 2 double beds or 1 queen bed, or $129/night for studio suite with 2 double beds based on availability. Stay with BEST WESTERN during the BC Scotties and also receive discounted parking of $5/night (regular $10/night). Note: BW-CARLTON is amidst a lobby renovation.